Get ready for a small game that packs a great punch! 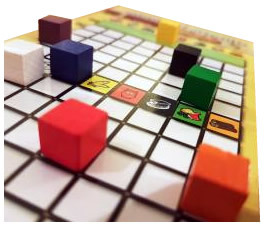 Trains And Cargo is a fluctuating economy game where players attempt to send off their trains, loaded with different cargo, just at the right time when their load is worth the most points. Action cards play a crucial role in this fun and strategic card game and keep things balanced and somewhat random. Trains And Cargo is such a fun game and is great for 2-6 players or you can even group up in teams. With a completely different game each time you play, you'll want to try playing again and again. Learn more about Trains And Cargo and be sure to pick up your copy today! Review Completed (2018-04-12) Trains And Cargo is an impressive little game and has a theme just as its name implies. Players are trying to send off their trains at the optimum time when their cargo is worth the most. To learn more about how to play Trains And Cargo, be sure to read through the official game rules and instructions listed below. Now let's get to the review. We were excited to receive this game (perhaps since we've played some fun train games in the past) and not to give too many spoiler alerts but we loved this game! We were not disappointed and loved how unique Trains And Cargo is. The name isn't flashy or catchy – it is simply what the game is. Our first impression of the game when we held it in our hands was a bit of a gulp moment. The box was a little flimsy feeling and the lid was slightly bulging off like not everything fit. This can sometimes be a sign of a sub par quality game. Once we opened the lid, we saw some interesting packing materials that looked like the neighbor down the street put it all in a box with zip lock bags (nice ones) he had hanging around. With that being said, after we actually got the game pieces out we realized that this was indeed a very high quality game that was just packaged a little less impressive than others. 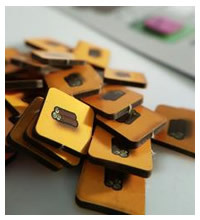 Cards are great, wooden pieces are nicely made and laser cut wooden tokens are always a favorite. We forgave the packaging very quickly when we saw the actual game quality was top notch. Things we loved: the laser cut wood tokens, the small and concise helpful rule book, the simple themed artwork, how clear and appealing the player cards were and last but not least - the game play. There are so many possibilities while playing and the optional route boards throw an additional twist to the game. We were impressed you could either use these boards or not use them and the game would still function. The ever changing market board is brilliant and can sure throw a wrench in things. No score pad or pencils are included in the game which is usually something we like to see included. Scoring is pretty straight forward and learning how to play was surprisingly fast. Our little group of three players couldn't play Trains And Cargo just once…or twice…we played three times and wanted to play again. We definitely recommend this game and think you'll have a great time playing like we did. Our games didn't take the full 45 minutes that was listed on the box but perhaps with more people it would and can see how playing is teams would be a blast. 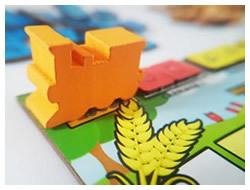 We are so excited when we find a simple game that is fun/challenging to play, easy to learn and begs you to play again – Trains And Cargo is that game! If you or your team has the highest score when the last card is drawn then you'll win. 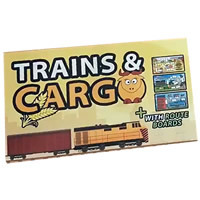 You get 124 cards (40 cargo cards, 48 market cards, 36 effect cards), 192 cargo tokens (8 colors, 24 of each), 6 locomotive figures (two orange, four green), 1 market board, 8 wooden cargo cubes, 3 route boards and the official Trains And Cargo game rules and instructions. 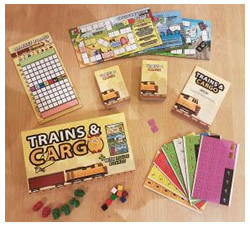 Please keep in mind that the official Trains And Cargo board game rules and instructions could be different depending on the game version you have. The rules below are some of the exact directions on how to play Trains And Cargo. Share with us your comments, funny stories, tips, advice, strategies, creative ways to play, questions about how to play, problems with the rules or anything you want about Trains And Cargo. All submissions will be reviewed within 24 hours. Click here to add your Trains And Cargo comments.